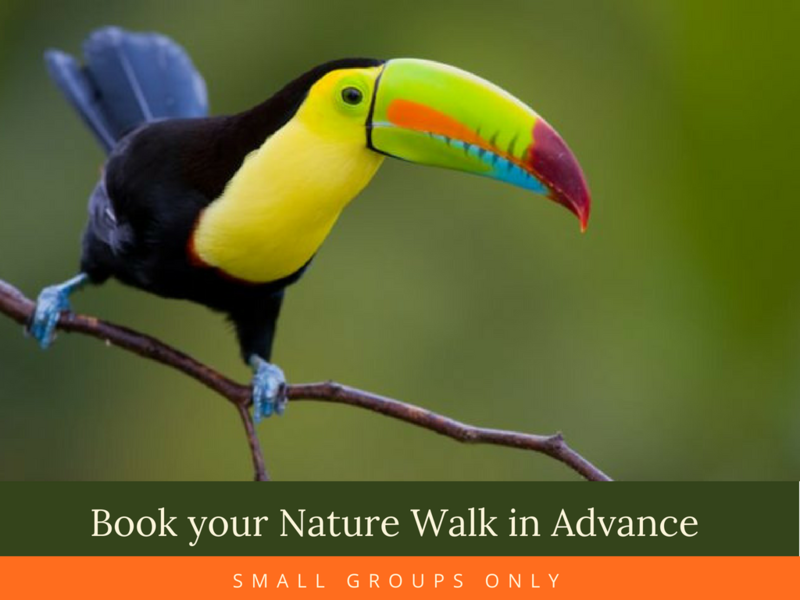 Explore the incredible flora and fauna of Monteverde, unhurried, in a small group, by the hand of a friendly and expert local naturalist guide. 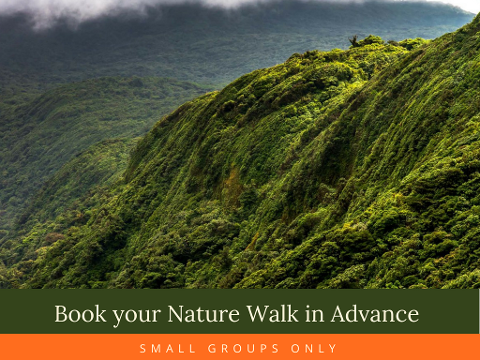 The experience and professionalism of our guides, their knowledge, their eyes and ears trained to explore the forest, are undoubtedly the best way to explore and understand this wonderful ecosystem. 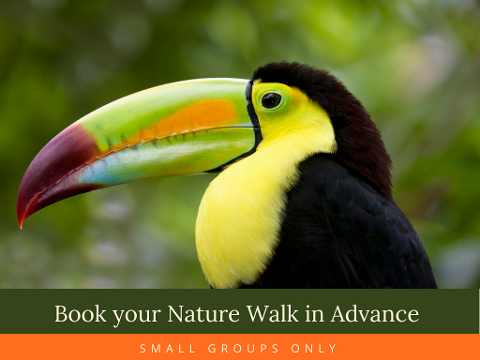 Mornings are definitely the best time to venture into the cloud forest of Monteverde, due to the morning activity of birds and animals, you will have a greater chance of seeing them. 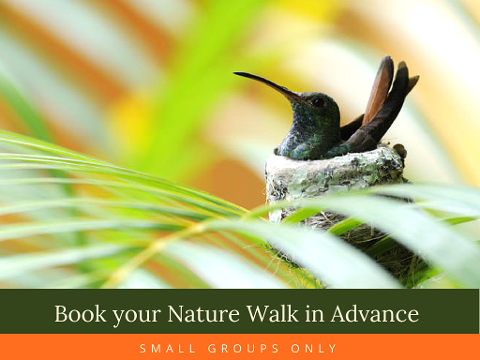 So wi well start early from your hotel our staff will pick up from 7:00 am to 7:25 according to your hotel location. 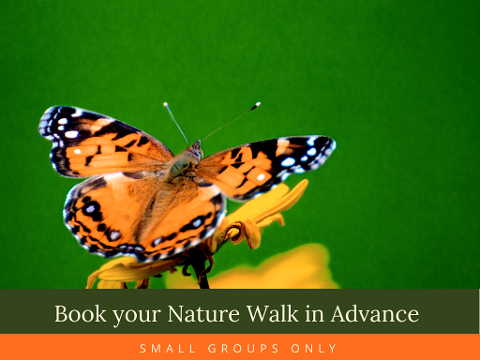 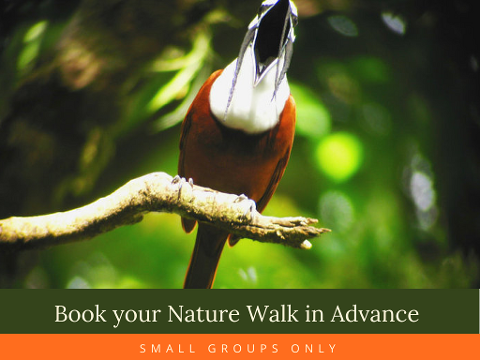 From 7:30 to 11:00 this walk take yourself in the infinite beauty of cloud forest and its great biodiversity. 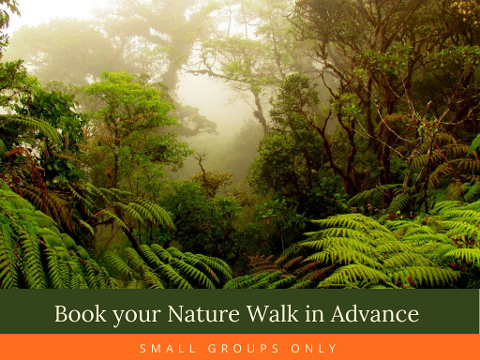 Enjoy the natural wonders that characterize this ecosystem, considered by National Geographic as one of the most beautiful forests in the world. 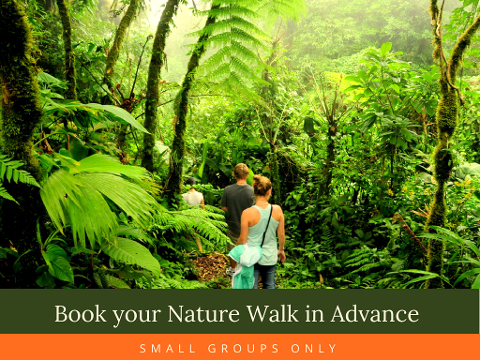 The complexity and fragility of this habitat impress experts and naturalists from around the world, during this trip an expert local guide will take you through the secrets of this magical place and will help you discover the little and big surprises hiding in the Monteverde Cloud Forest. 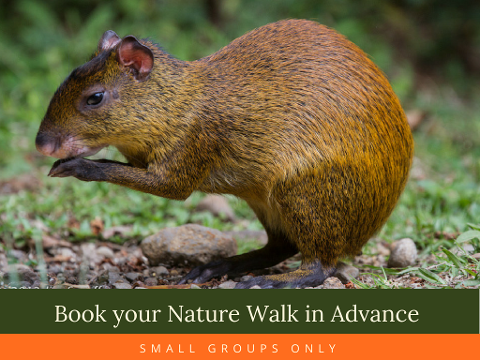 by 12:00 you will be back to your hotel, or we can drop you off in town so you can enjoy lunch or and explore the local culture on your own.